When I finished Persona 4 Golden, I was sure there was no other game in the world that was as deep, as engaging and as involved as it was. Little did I know, Persona had plenty more to offer and the series was already highly successful after Persona 3. Persona 4 Arena had introduced me to the characters of Persona 3 and since I wanted more Persona in my life, after starting the game, getting distracted by other games and then starting again, I decided to finally commit to Persona 3 to learn more about the series and honestly, in the hopes finding another game that would become high in my favourites list. The mechanics of Persona 3 were easy enough to pick up, but I quickly noticed a different feeling in Persona 3. I definitely think both games I good, but I found I definitely had a favourite out of the two games. For anyone interested, but specifically for those who were like me and may be thinking about trying Persona 3 because of Persona 4 Golden, here is a friendly comparison between Persona 3 and 4. Note: Since I've played Persona 4 Golden and Persona 3 FES, this article is purely based on them and not the very first PS2 releases of the games. The tone of Persona 3 and Persona 4 is probably what differentiates the two games the most. One of the main things that drew me to Persona 4 Golden was it's bright exterior and positive feeling I felt from it's music and visuals, which looked so exciting and fun that I decided I needed a Vita to try this game. Persona 4 Golden has it's own dark themes, but there's always an upbeat outlook to things that I really connected with while playing. While I didn't play Persona 3 because of it's trailer, it's easy to see that the trailer of Persona 3 is a bit darker, feature more blood and fighting scenes in the trailer. Of course, when next to a game that uses a bunch of bright neon colours like Persona 4 Golden, Persona 3's blue colour palette will naturally seem darker, but I can confirm that throughout Persona 3's story, I've definitely felt a somewhat sadder feeling. Both games feature the theme of loss as a story theme at points, but it's much stronger in Persona 3 and therefore the overall tone of it is darker. Both games also feature a lot of humourous and light-hearted moments, but with less loss and death evident in Persona 4, it feels very different. 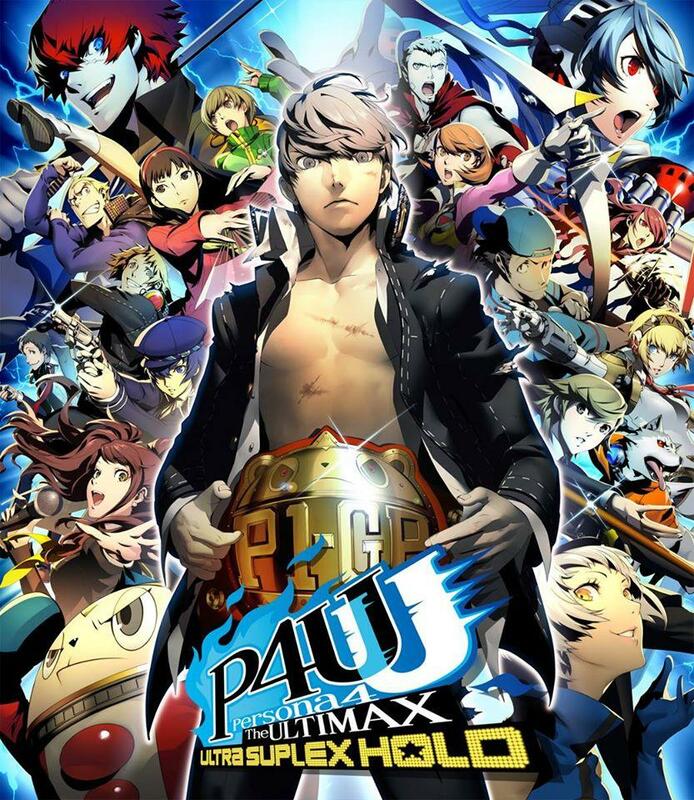 Personally, when it comes to the two games, I much preferred Persona 4 Golden's story. Possibly because the game keeps a more upbeat tone most of the time, dark moments in the story felt deeper to me and hit me harder. In Persona 3, the story is definitely compelling as well, but the characters seem to go through hardship after hardship, so the feeling of contrast and surprise isn't as distinct. Both stories are extremely interesting and worth playing though and I think people's feelings on which story they prefer will probably stem from if they generally prefer a darker or more positive story. With Social Links as one of the most important gameplay mechanics of Persona games, good characters are an essential part of the mix and thankfully Persona 3 and 4 have these in spades. All characters are based off the same types, the Persona Arcana cards, so there are definitely some similarities between characters but all have their own unique stories to tell. The purpose of the Social Links is mainly to improve your relationship with each Arcana to unlock the most powerful Persona from that Arcana, but each Social Link adds it's own bit of depth to the story because it helps the player understand where the characters are coming from. Persona 3 was actually the first Persona game to feature Social Links, a fact that surprised me considering how vital they are to Persona 4 Golden. Persona 4 Golden's Social Links definitely improve on what was done in Persona 3, adding more voice acting, longer cutscenes and player choice. Also when related back to the tone of each game, Persona 3's Social Links are again centered around loss and a lot of hardships, although it's also apart of the game where softer and light-hearted sides of characters are seen a bit more too. Since Persona 4 Golden is more about finding inner strength, the characters deal with a bigger variety of struggles and I just found that generally more interesting and relatable, so I felt more of a connection with the characters in Persona 4 Golden than I did in Persona 3. The base mechanics of Persona 3 and 4's dungeons are the same, but the execution makes certain parts feel quite different. In both Persona 3 and 4, each dungeon section features climbing a bunch of floors and then fighting a sub-boss. Persona 3 doesn't usually have any main bosses inside it's dungeons because it saves them for the full Moon, whereas the goal in Persona 4 Golden is to get to the top of the dungeon in order to fight the boss and save whoever is stuck inside the TV world. What's interesting about the difference between Persona 3 and 4 is that you must complete Persona 4 Golden's dungeons otherwise it's a one-way ticket to game-over town. In Persona 3, if you don't play through the dungeons, the only real consequence is being highly under-leveled for bosses or having a lot to do towards the end of the game. This is one of the reasons I actually preferred Persona 3's dungeons. Dungeons in Persona games are not short, so having them be more optional was something I definitely appreciated. I could choose to either have a challenging boss battle and higher stats or slowly building my stats and beating bosses easily. Grinding your characters stats is an important part of Persona as well, so feeling like I had more of an option to not to grind at every possible time was a good way to avoid getting fatigued and bored of the slightly repetitive dungeon areas, especially considering how much there is to do in Persona games anyway. 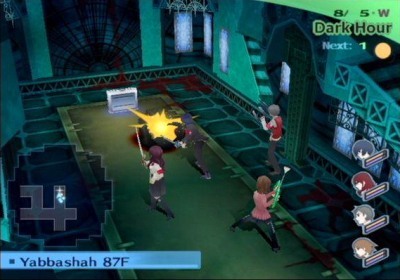 Persona 3 also has a few extra mechanics in it that makes overly easy dungeon levels, like being able to split your team up to explore a floor or fight enemies and having enemies who are clearly a much lower level than your party be easier to critically hit. I don't know why these features weren't added in Persona 4 and Persona 4 Golden as I really enjoyed using them in Persona 3 to make my dungeon time easier. However Persona 4 Golden does feature the benefit of your characters not getting tired, meaning you can crank out a dungeon in one in-game afternoon and then be free to Social Link. Both have their pros, but I liked the extra functionality of Persona 3's dungeons. I'm getting close to the end of Persona 3 and while I'm enjoy the experience, it reminds why Persona 4 Golden was such a special game to me with it's positive outlook and it's emotional depth. I do enjoy that they're both different though, as it makes going back to playing Persona 3 FES as a PS2 Classic much more interesting and as much as I love Persona 4 Golden, 300 hours was a good amount. Playing both of these games and seeing their differences also makes me curious as to what will be different in Persona 5. With it's red theme and dark first trailer, I wonder if the game will lean darker or more positive in tone, or even somewhere in the middle. 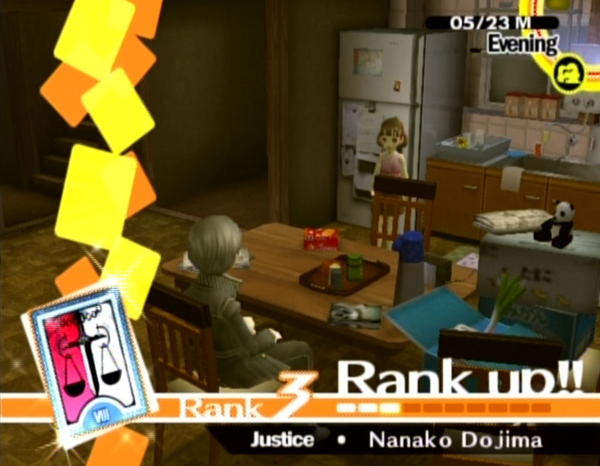 Only time will tell, but for now, Persona 4 Golden definitely still holds a very special place in my gaming heart. You can pick up Persona 4 Golden, Persona 3 FES or the Persona 4 Arena games which feature the cast of both games from Play-Asia.com! What's your favourite Persona game - is it 3 or 4? Do you think Persona 5 will have a dark or light-hearted story (or something completely different)? Leave a comment below, send me a tweet at @JRPGJungle, hit us me up on the JRPG Jungle Facebook page and let's talk!